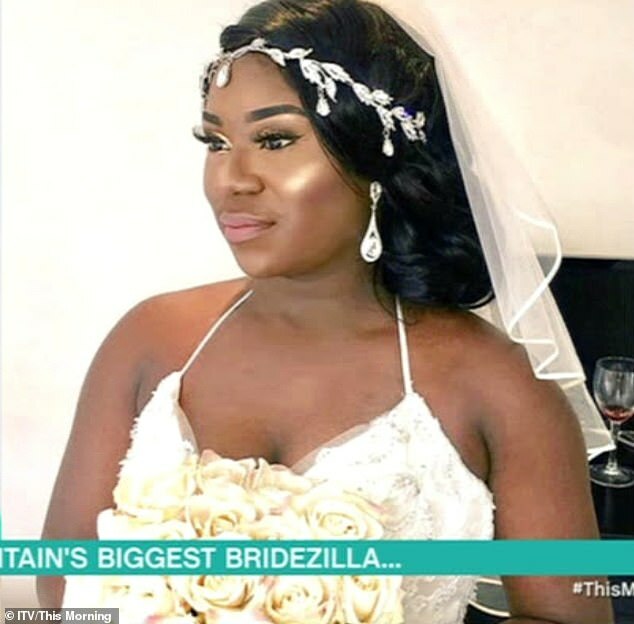 A newlywed has been branded 'Britain's biggest bridezilla' after holding five different wedding ceremonies during which she wore 13 dresses. 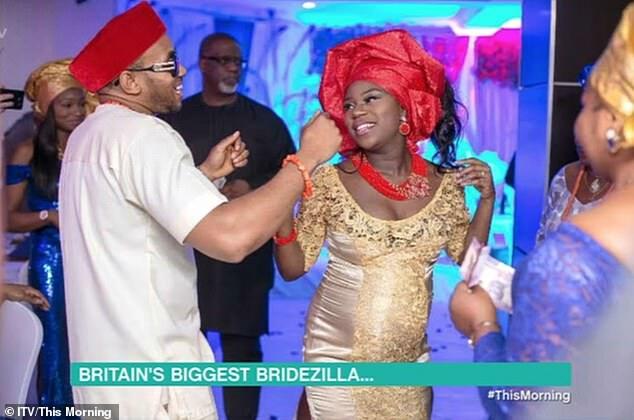 The first two ceremonies were held in Nigeria, at a cost of around £2,500 to each guest - one of whom had to take out a loan in order to attend. 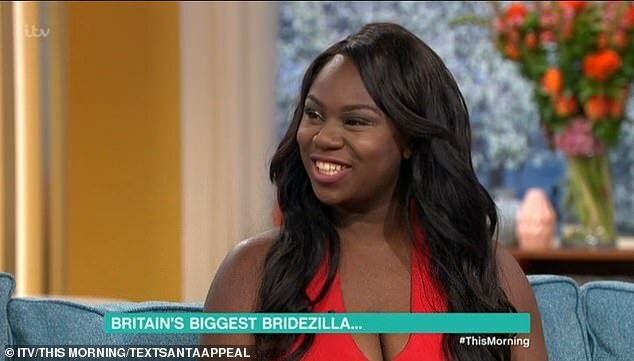 Speaking on This Morning, Sandra said she doesn't feel guilty about expecting people to attend multiple ceremonies, because they should want to be there for her at such a 'significant' time. But her remarks were slammed by This Morning viewers on Twitter, with some calling her 'greedy' and 'vulgar'. 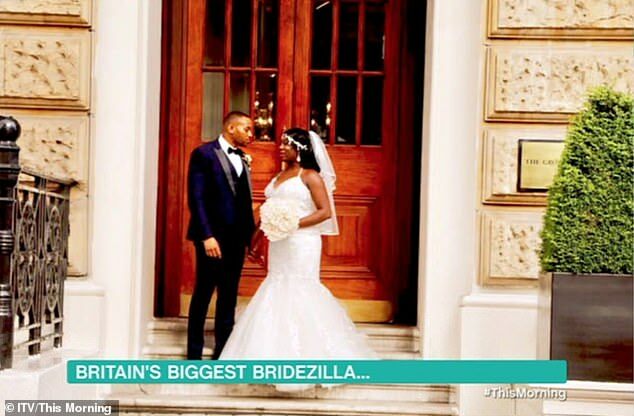 Mrs Igwe said she'd always dreamed of having the perfect wedding, but found she wanted so many different things that one day simply wasn't enough. But she doesn't feel guilty for making her loved ones fork out to attend her weddings, saying: 'If you care about somebody, you love them, then why would you not be there for such a significant day in their life? So I don't feel guilty. She told how during the hotel party she kicked her guests off the dancefloor so they could watch her and her new husband dance all night, and she refused to let those who hadn't followed the strict blue and silver colour scheme pose for any of her wedding photos. 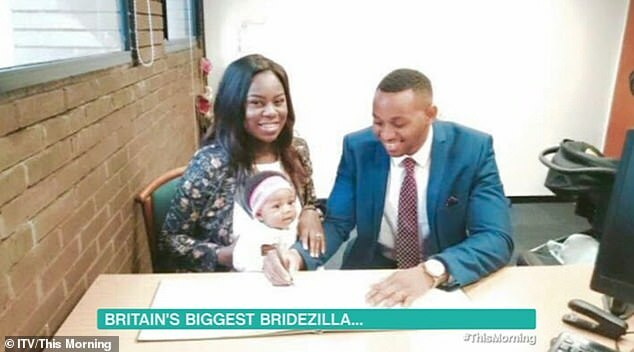 For her fourth wedding she had a much more low key ceremony in a registry office in Coventry, and was furious when many of her family and friends refused to attend because they'd been to so many of her celebrations already. She made her guests learn an elaborate dance routine for the reception, which they ultimately did not perform it because the bride turned up four hours late. 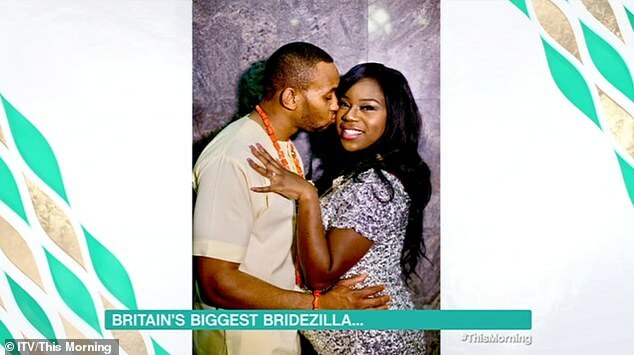 She claimed she has made up with most of the friends and family she fell out with over her bridezilla actions, but refused to say how many she hadn't reconciled with. 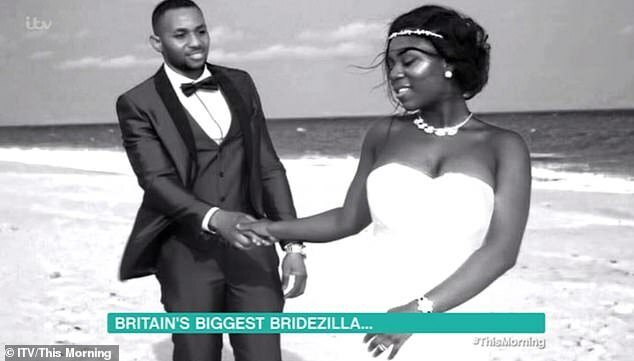 'Bridezilla.. Her husband needs a medal...' another posted. 'Just greed and vulgar,' another wrote. Empty-headed as vacuous and self-centred as twisted. She'll be a burden on the state in two years! Spend all that money, plus the fuss and worry of all that planning, just so she can get "layed" again by the same guy. What a waste of resources.